Subject: Antique print, untitled. 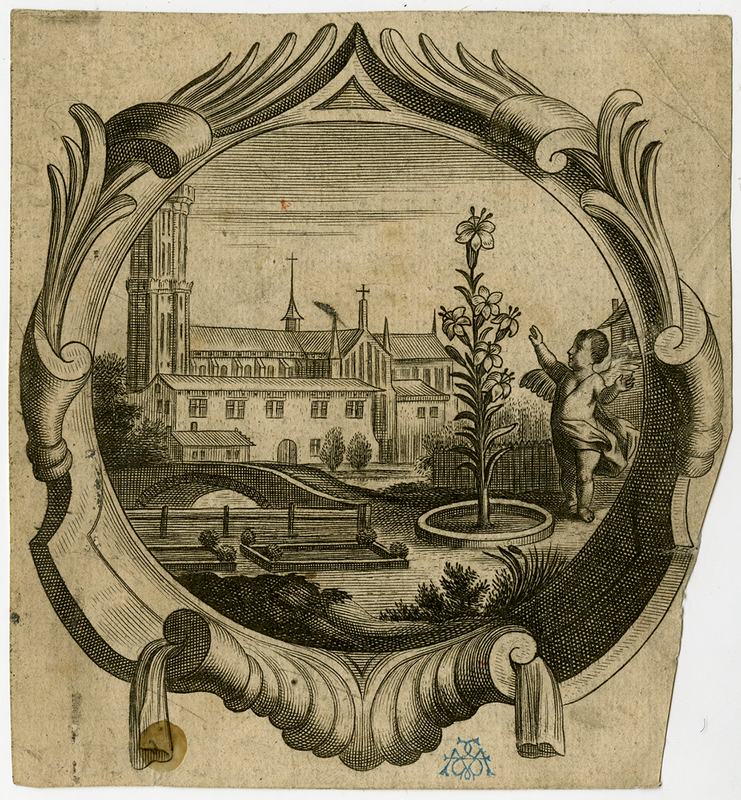 An emblematic scene with an cupid in a garden. Condition: Fair, given age. Small margins, some folds and a restored tear. General age-related toning and/or occasional minor defects from handling. Please study scan carefully. Size (in cm): The overall size is ca. 10.5 x 11.4 cm. The image size is ca. 10.5 x 11.4 cm. Size (in inch): The overall size is ca. 4.1 x 4.5 inch. The image size is ca. 4.1 x 4.5 inch. Description: Illustration to an unidentified book. Provenance: Auguste Schoy (Lugt 64).